Super Prediction System is the only indicator that does not show delayed trading signals, but shows them ahead of time! 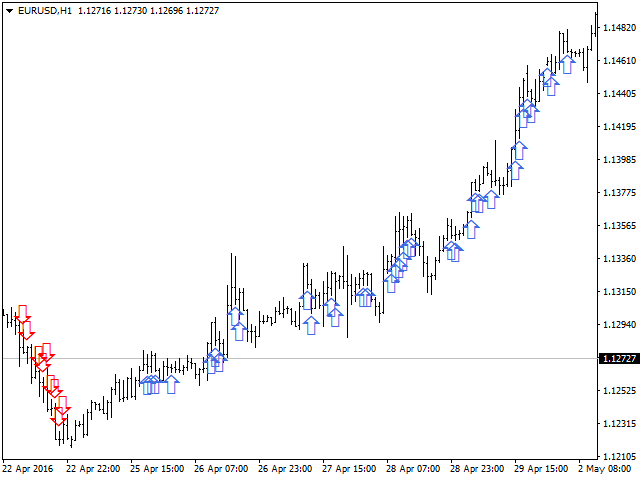 It gives you an opportunity to have the trading signals right in your MT4 sooner than other traders. The indicator does not wait on the reaction of a new candle, but shows the signal (arrow) immediately on the opening of candles. The indicator was developed based on our experience of tracking major worldwide bank activities using the most modern technologies, neural networks and absolutely accurate tick-by-tick history. Get the most accurate information. As soon as the new candle opens and the indicator draws an arrow, it means there is an opportunity that the market will go in the direction of the arrow. You will never get lost in a flood of useless features and settings! The indicator is useful for beginners as well as professional traders. You have only one setting in the indicator: “Power_X“, which precisely changes the indicator based on the speed that a trader requires. The trading signals of Super Prediction System are clear and easy to trade! As soon as Super Prediction System shows an arrow on the open of a candle, there is a great probability that the market will move in the direction of the arrow. Trading with this professional indicator is very easy! If the indicator draws the arrow at the opening of a candle, the market will most likely move in the direction of the arrow. 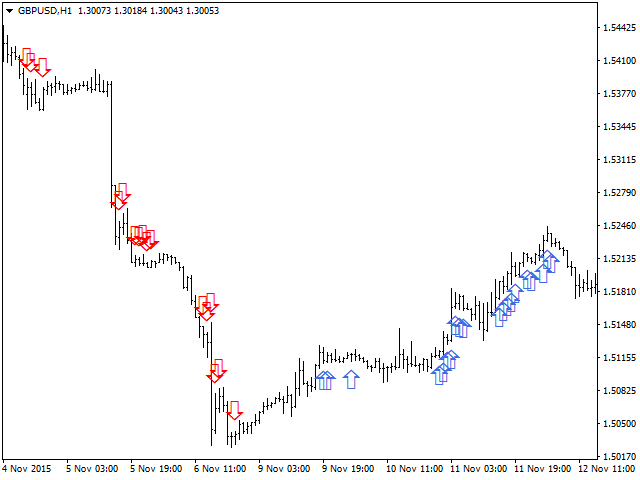 In this situation, you can open a trade or accumulate your trades in the direction of the arrow. The trading signals work best at the beginning of strong trends. If you hold opened trades and at the opening of next candle, the indicator draws no signal/arrow, it means that you should be cautious because the market is losing strength. However, it does not mean that it cannot gain its strength back in the next candles. If an arrow against the direction of your trade appears, it is recommended that you close the trade. We recommend setting the Power_X variable as follows. For intraday and scalp traders, we recommend setting a lower value of the Power_X variable and trading at lower intraday timeframes. For swing or longer-term traders, we recommend setting a higher value of the Power_X variable. Works OK for me, can see trend changes with it. Awesome indicator. Very good signals. Highly recommend it. Perfect indicator, thank you. Great job !!!! Great SW & excellent support from Ondrej. As with all SW purchases you hope the support will be at hand when you need it. I would not hesitate to purchase from this guy. Excellent indicator. It is absolutely great that the indication of signal is along with the opening of a new candle. The indicator thus displays a real reality! Not as the remaining 99% here on the market! I have never seen a better indicator. Thank you Ondrej! Don't just rent it, buy it! This is a really useful and handy indicator that you won't regret. I've been using this just for almost 2 months now, and I can see progress to increase my profits. By far, SUPER PREDICTION SYSTEM has helped me choose signals in the right and accurate direction. Thank you! I love the Super Prediction System indicator so far! 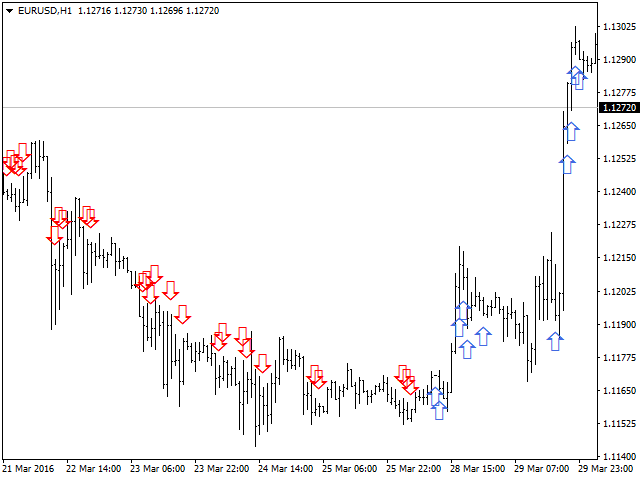 Very useful - very accurate signals and it´s almost always in the profitable direction!! I´m already making very nice profits thanks to the indicator - great job Ondrej!!!! Wow...... This a nice fantastic and amazing product. I have actually use this product since the past 4 years ago and so far so good the product has been so wonderful and amazing. I have use to make quite alot of predictions and indeed it has never failed me for once. Super Prediction Software is highly through to his name and i therefore recommed this amazing product to anyone who needs a faster and 100% assurance prediction. This indicator is very good and useful, I rent the application and then I had to buy it. Dear Ondrej, is it possible it repaints? For a long time I did not notice it but recently I saw arrows come and go ... can you explain this please? I HAVE TRIED THIS INDICATOR AT LOWEST POSSIBLE STRENGTH TO PRODUCE SIGNALS. THERE ARE MORE FALSE SIGNALS THAN TRUE. I WROTE THE AUTHOR SEVERAL TIMES WITH NO REPLY. THERE ARE NO ALERTS SO IT IS NECESSARY TO STAY PASTED TO THE SCREEN FOR THE OPEN BASED ON TIME FRAME SELECTION. A POP UP ALERT WOULD ALLOW ONE TO FOCUS ON THE TRUE SIGNAL. TIMING IS IMPORTANT. It needs to be filtered but signal is almost always in right direction. In this version we have made a huge changes and you can expect better performace. We have tested and improved this version 11 months and we have make it the best. Thank you and wish you good trades. Alerts updated. Now you will see which market/timeframe triggered an alert. Alert feature added - including MT4 alert, push and email notification.